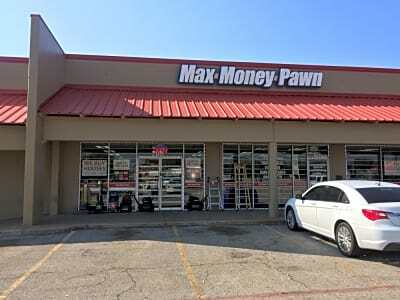 What everyone should know about us: MAX MONEY PAWN is a locally owned pawn store located in Lewisville, TX. Originally founded with the principle of honesty, good value and great customer service, striving to build a reputation of being THE PAWN BROKER to trust in the North Dallas area. These are the items we are most interested in buying/pawning/consigning. Please contact us if you have any of the following items. Please feel free to contact us directly with any of your pawning, selling, buying or consigning questions. Had an excellent experience with this pawn shop. They are very nice to work with. Great offer and willing to work with me. Best pawn shop ever! Don’t hesitate!!!!! My experience here was perfect. Jimmy assisted me on PawnGuru and Mike handled my pawn transaction when I arrived at the location. Fast and friendly service, I was in and out within 15 minutes. Thanks guys!! Great experience. Very friendly staff. Quick and easy sell. Store offers a wide variety of items. Will do business with them again. Always provide excellent customer services! Very friendly and gave me a great offer for my electronics. Lots of cool stuff inside! Amazing place and people!! drove from Fort Worth to get here and can defiantly say it was worth the drive. One of the best pawn shops around DFW hands down very quick and friendly staff. This pawn shop is amazing! The owner makes sure to keep his word on prices given on items. We had an item which was worth less because of Black Friday, but he made good on his commitment for our item (which was put into PawnGuru) from over a month before! They pay more for items than the other local pawn shops, keep their commitments, and work with you if you are running late on paying back your pawn loan. Five stars! Great place got the price from pawn guru. They took care of me quickly. Employees are very good. The store is really clean. This was my first experience ever pawning anything and after visiting another pawn shop closer who low balled me I made the drive from Garland to Lewisville. Max Money Pawn was fast, diligent and efficient and processed my transaction in a very professional manner. Would recommend them to anyone. Would like to mention how honest they are as well and that goes a long way. This was probably the most professional pawn shop I have ever been in. They were so helpful, and they were quick to reply to my question! It was also the most organized and cleanest one I have ever been too! I will definitely be going back, and if I have any more gift cards, they will be my first stop! Thanks for the great experience! Y'all definitely earned a new customer!!! Highly recommend! I received a speedy response to my inquiry. Shop was nice and clean. Staff were were professional and courteous. Quick fast and easy! Was out in less than 5 mins when I brought item in as described. Thanks so much! Came in today and they were great, really nice store,friendly staff and just all around good experience. Quick response. Great offer. Fantastic customer service. Will definitely do business with again. Smooth transaction. Very professional. In and out. Very grateful for the deal I was able to make here! Jimmy was respectful of my input as a seller and really did his research to give me an honest quote. I'll will likely be returning with other stuff to sell in the future. I went through paw guru and got a quick response and good offer. Jordan was very polite & helpful, I was able to loan my jewelry quick and easy! I recommend this pawn shop to anyone!! They’re awesome! I drove all the way from Irving to get to this store...they were the only ones who actually gave me on offer on the item I was pawning. I got to the store about 15 minutes before closing and the guys behind the counter were awesome and welcomed me in like they had all the time in the world to help me. I will definitely use these guys again should the need arise and would recommend them to anyone looking to pawn or sell an item. Great Service for it being my first time! I will keep coming back. It worked out great. Very easy transaction! Very professional and friendly! I would recommend them to anyone! Great guys, great offer. Will work with them again. The absolute easiest and most friendly transaction. I have not done this much and they made me feel extremely comfortable. Will definitely come back to these guys if I find myself in a similar situation. Sold them my tv. Super nice & super quick. Thanks! Great experience with these guys. Quick service, friendly and reasonable offer. Hey the guys were super cool that worked here I was about four hours late and you know they didn’t bat an eye at it actually give me more money than what we had agreed upon and I’ll deff be going back to them. overall experience with the pawn guru is positive. No complaints. I’ve never been to a pawnshop before and I just found Pawn guru this morning. I wish I had known about it along time ago I would’ve skipped all the hassle of trying to sell on sites like OfferUp. Max money Pawn was awesome… They made an offer on my lawn Mauer within an hour and by the next hour I had sold my lawnmower. The store was very clean the staff was very friendly and the price was very fair… I would highly recommend this entire process To anyone who has something to sell… The best part is you already know what you’re going to get in whether not there going except your item before you go in so saves you time and you know exactly what to expect. Jimmy made me a great offer and bought my guns the same day. I will definitely be doing more business there. They have a group of good guys. Pleasure doing business with them. Great service and very professional. Fast transaction. All around great experience, extremely clean store. Staff has excellent customer service. High quality well displayed products. Will definitely make the trip all the way out here again for all of my pawn needs. Friendly staff and was fair on the price they purchased the cell phone for. I would use this site and pawn shop again! Awesome! The guys at Max Money are great! They made me an offer online, I brought in the item I was selling, they inspected it and the deal was done. No nonsense, no trying to back track on the previous offer or trying to low ball. Quick and simple. I had never used PawnGuru before and I was thoroughly impressed. Super easy. Posted item, got an offer, accepted offer and sold item. This may truely be the future of pawning. I will definetly be using again and the guys over at Max Money will be at the top of my list for potential buyers! A+!! I was treated like I was important and respectful of my time and they paid me exactly what I agreed to and bought two tank's at that price. I have dealt with a lot of pawn shops and I was impressed with the way I was treated like a person. This pawn shop is the place to go! Jimmy and his staff were helpful and courteous and gave me the best offer for my item. I am happy I did business with them and would recommend this pawn shop to anyone! Max money pawn gave me exactly what they said they would. And it was quick and easy. I would highly recommend. Quick and easy. Fantastic serve from all the employees! Jimmy was awesome to deal with. Friendly, fair, honest, and knowledgeable! Great customer service and made the sale smooth. Will recommend to others. Friendly easy going staff, great to do business with. Very nice staff. Easy to deal with. Gave me what they quoted me. Would sell to them again. Great experience. Jimmy cuts a fair deal and is a very cool person to work with.